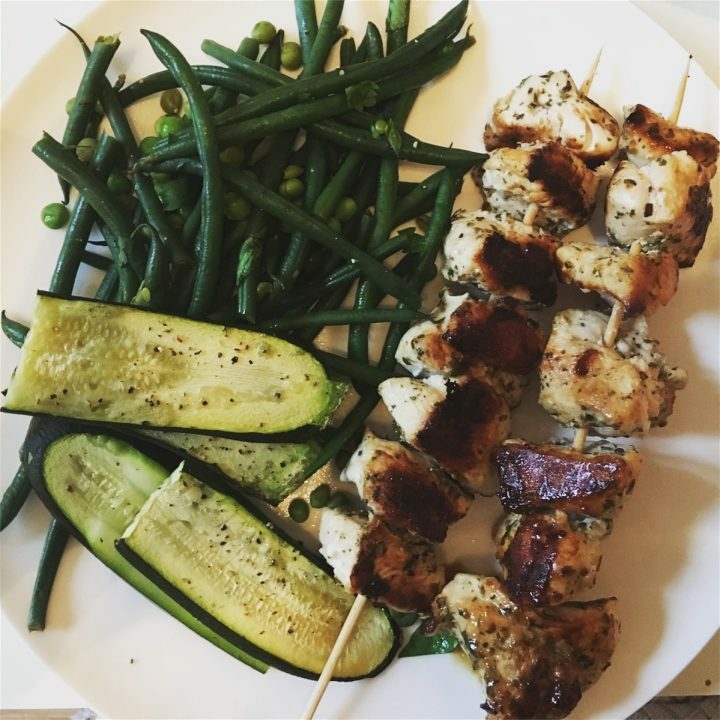 This Greek inspired dish is simple and easy to make, and ace for barbecue season. Pair with a refreshing tsatziki dip and sweet potato wedges for a perfect summer dish. 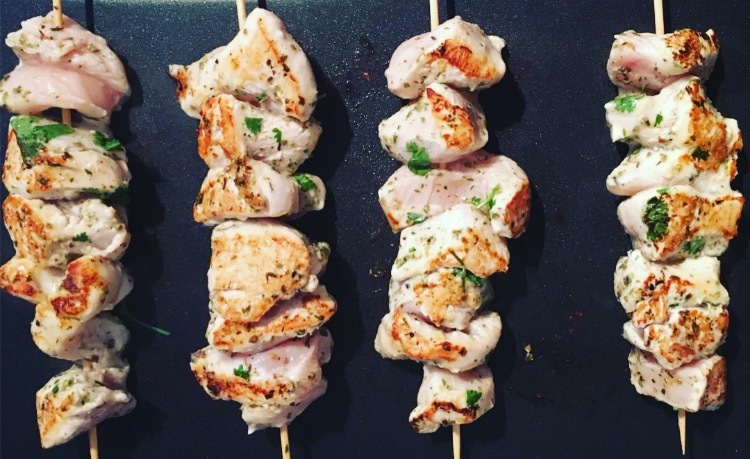 If using wooden skewers, soak in water for 30 mins so they don’t burn on the grill! Combine the marinade ingredients in a flat dish or bowl and add the chicken, making sure the chicken is coated. Let it marinate between 30-60mins. In the meantime, combine the ingredients to make the tsatziki dip. Heat up the grill or barbecue and thread the chicken onto the skewers. Grill for 3-5 minutes each side until cooked through. Serve with the fresh tsatsiki, with some sweet potato wedges for dipping.